If you're thinking about purchasing a recreational vehicle, there are a number of factors that you'll need to consider before making a purchase decision. 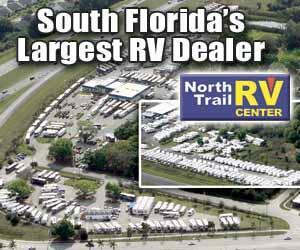 Timothy Lowry, Marketing Manager for North Trail RV, a leading south Florida RV dealer with two locations in Fort Myers, shares his insight about RV selection in this exclusive expert interview. LoveToKnow (LTK): What budget considerations should RV shoppers be aware of before they start shopping? Timothy Lowry (TL): Budget is definitely an important consideration. Motor homes are usually more expensive than travel trailers, fifth wheels or toy haulers. For those on a tighter budget, "pull behind" or "towable" RVs offer a less expensive alternative than buying a motor home. Most towable RVs don't offer the same comfort level as large Class A motor homes. However, some have bunk beds that make them very family friendly. Towable RVs are a lot less expensive than motor homes but require a pickup truck or other vehicle to tow them. (LTK): How does family size impact RV selection? (TL): First decide on the type of RV you want and consider how big your family is. If your family consists of you, your spouse and two or three young children then probably a nice Class C motor home would be the right RV for you. Class C motor homes can sleep five to seven persons comfortably. Fleetwood RV makes very family-friendly Class C motor home like the Tioga and Jamboree Class C motor home. 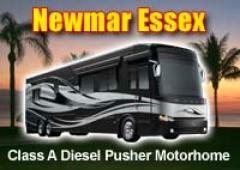 If the RV is just for you and your spouse then you may wish to consider a Class A gas or diesel motor home. Class A motor homes offer all of the creature comforts of home and then some. Class A motor homes are great for anybody and are a favorite among older couples who are retired and wish to travel the country and see their friends and family. LTK: How should expected usage be taken into account when choosing a size? TL: Also consider what you will use the RV for. If you plan on RVing full time, then having enough space or room for your stuff will be very important. If you ask any full time RVer they will tell you that you can't have enough storage space. Most diesel pusher Class A motor homes have an advantage over others because they have huge "pass through" storage compartments underneath in the chassis of the coach. Usually these "slide trays" can either be manually pulled out or have push button automatic controls. LTK: Should driving skills and experience be considered? TL: Believe it or not, in most states no special license is required to drive even larger RVs like 45-foot motor home models. However, your driving skills and comfort zone for maneuvering are important to consider. If you aren't comfortable driving, parking and maneuvering the RV, don't buy it. Choose the right sized one for you or have someone teach you how to handle it properly. Test-drive the RV if possible to see if you like it. Keep in mind that recent amazing new technological innovations have made handling even large vehicles simple and easy. One particular manufacturer, Newmar Corporation, has what they call "Comfort Drive" steering allowing you to drive a 45-foot diesel pusher motor home with just two fingers. State of the art back up monitor systems complete with color video, audio and sensors help make maneuvering the largest RV simple. Some larger motor home manufacturers offer optional Eaton Vorad collision avoidance systems. LTK: Are there other important factors to consider when deciding what type of RV to purchase? TL: Convenience is also an important factor to consider. When you own a motor home, you just turn the key and drive off. You can even tow your car behind for convenience when you finally reach your destination. With a towable RV there may be more preparation before you leave. On the other side, towable RVs don't have engines and therefore you have no mechanical breakdowns to worry about. But with a towable version you will need a vehicle (in most cases a pick-up truck) to tow the RV. LTK: What is the best way to get started looking for an RV dealer? TL: Talk to RV owners if possible. 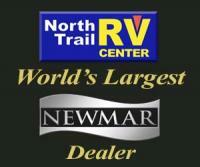 Usually RV dealers will attach their sticker or license plate frame with their names, logos etc. on the RVs they sell. You can also look up the manufacturers themselves. They can give you RV specific club contact information of people who own their particular brand. You can talk to some owners who will likely give you an unbiased view of the RV brand and the RV dealer who sold it to them. Several manufacturers have these clubs, including Monaco Coach, Fleetwood RV, Newmar, Holiday Rambler and more. It's also a good idea to attend RV shows and rallies. The shows are a great place to check out all the latest and greatest RVs. There are lots of people attending, which means RV sales people are usually very busy and there is usually a lot less pressure to buy. There can be quite a few RV dealers and manufacturers represented at these shows, so the variety and selection is nice. RV dealers always have special "show" deals they offer and manufacturers are always offering special "show" sales incentives as well. LTK: How can RV shoppers determine if an RV dealer meets their needs? How long has the RV dealer been in business? Is the company a member of any local or national RV industry associations like the Florida Recreational Vehicle Dealers Trade Association or the Recreational Vehicle Dealers Associations (RVDA) organization, etc.? Does the dealer have good service and parts departments? Does the dealer have any sales and service awards? Especially look to see if they have any "transient" customer service awards. This type of RV manufacturer award is given to dealers who have provided outstanding service to customers who did not originally purchase their RV from that dealer. Unfortunately, quite a few RV dealers will ignore or not make service a priority for customers that didn't buy their vehicles from them. Does the RV dealer have a large selection? Unlike the automotive industry, there are not RV dealers on every street corner. There aren't two or three dealers that carry the same brands in the same town, county, or for that matter, state in some cases. If you can find a larger dealer that has several of the same makes and model RVs you're looking for you'll not only have more variety to choose from but you may actually be able to save more money. Larger dealers buy in volume and can pass that savings on to you. Applying these expert tips can help you shop for a new motor home or RV with confidence. Review Best Time to Buy an RV for additional tips to consider.